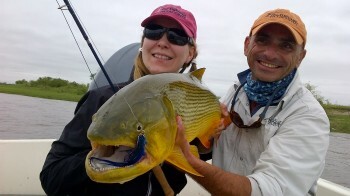 Wing Shooting Argentina’s cast and blast trips offer superb shooting and incredible fishing. Most cast and blast trips in Argentina demand extensive travel between the fishing and shooting or have one activity that is inferior compared to the other. However, our area has some of the best Argentina dove and duck hunting and Golden Dorado fishing and some of the finest pigeon and perdiz hunting in Argentina. The best part is that it can all be done from the same lodge. 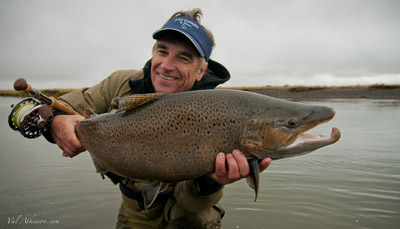 A cast and blast trip with Wing Shooting Argentina is convenient, diversified and uncompromising. Our cast and blast adventures extend beyond Dorado fishing in Esquina. 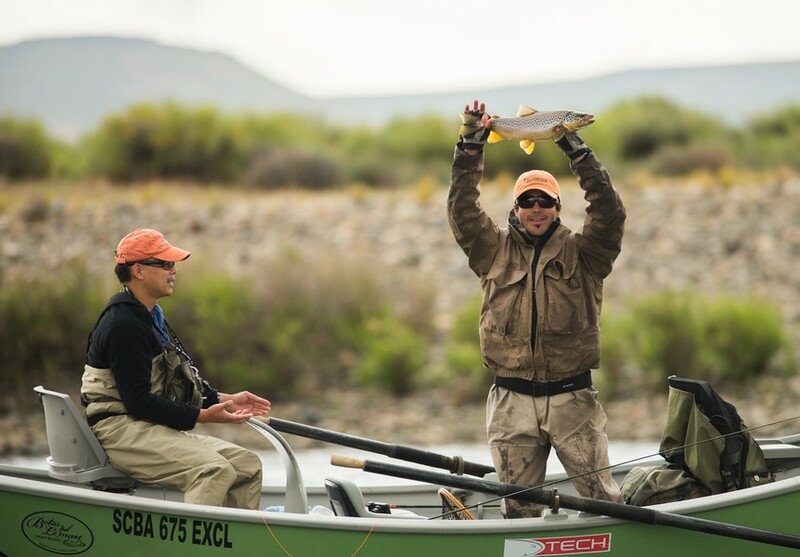 Since 1999, Wing Shooting Argentina has been outfitting trout fishing trips in Patagonia Argentina, under the name Fly Fishing Patagonia. We can easily combine trophy trout fishing and dove and pigeon hunting. Considering we have a day of travel between the Argentina dove hunting and all trout fishing destinations, we recommend a minimum of 4 nights in each region. Our Dorado and Dove cast and blast trips are run year round with peak season being Oct – May. This is when Dorado are most active and aggressively feeding. Our guest can customize the week to shoot or fish as much as they like. Typically a week will involve 3 days of shooting and 3 days of fishing. Our Argentina mixed bag cast and blast trips are run from May 1 – Aug 31 when duck and perdiz are in season. We will design the weeks schedule to focus on our guests preferred species while incorporating other hunts they also want to experience. Typically these trips are a week long and only have one or two days of Dorado fishing while the other days are spent hunting ducks in the morning and perdiz or dove in the evening. Our Argentina cast and blast trip with trout fishing in Patagonia are run between Nov 1-May 15. Our trout fishing operation in northern Patagonia offers trout fishing out of fine lodges and/or multi day overnight trips on the river. Since 1999, our company has also sent hundreds of anglers to Tierra del Fuego for trophy Sea Run Brown Trout fishing and Jurassic Lake. We can easily do that same for you. The season for both Sea Runs Browns and trout fishing in Jurassic Lake is Nov 1 – mid April. Therefore, the Argentina shooting available to combine with this region is dove and/or pigeon hunting. “Just a note to thank you most sincerely for a wonderful trip. It will be a highlight of our lives. It was just magic to have everything done for us. The accommodation, the entertainment etc.etc. Don has sent his picture to half of N. Zealand. Went to the physio this morning and he has done his shoulder in and no more fishing till it settles. He is still making excuses and singing like the inevitable Jack in the Box.